Substance abuse and addiction are complex and dangerous issues with challenges that are compounded when the affected individual is a teenager, as drugs and alcohol can modify the developing brain and negatively influence physical health. To fit in or socialize with people their age. To self-medicate undiagnosed or untreated mental health conditions. To perform at higher levels in and out of school. 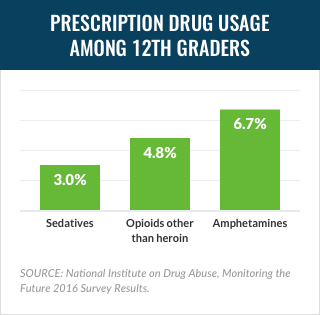 To gain a better understanding of teen drug abuse, it helps to understand which substances are most commonly abused by teens and why. 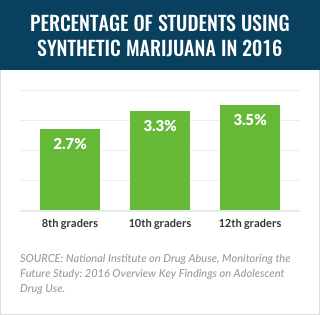 Each year, NIDA, in collaboration with the University of Michigan, completes an extensive survey of high school students in the U.S. and compiles the data to show which substances are being used as well as the percentage of the teenage population using them. 70.7% of people over 18 reported drinking in the last year. 56.4% of people over 18 reported drinking in the past month. It is widely available in homes. It is perceived as low risk due to the fact that is a legal substance. It is associated with having fun and partying. Increased comfort in social situations. Decreased feelings of worry and anxiety. Poor memory and problems with learning. Mood changes such as depression or irritability. Poor decision-making skills with increase in risky behavior. Death from overdose or accident associated with use. Behavioral health interventions and/or medication management for mental health issues. Ongoing medication-assisted treatment with medicines such as Campral, Antabuse and naltrexone to reduce the risk of future use. Motivational interviewing (MI): A style centered on building motivation for change from within the individual. Contingency management (CM): A behavioral intervention that provides rewards for desired behaviors. Community reinforcement approach (CRA): A multifaceted treatment that involves family, friends, and community resources to benefit the client. If you know someone in need of treatment for alcohol addiction, call 1-888-287-0471	Who Answers? today to speak with a treatment support specialist. 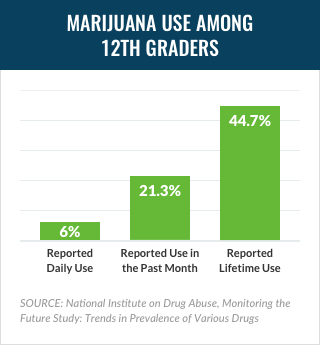 44.7% of 12th graders report lifetime use. 21.3% of 12th graders report past month use. 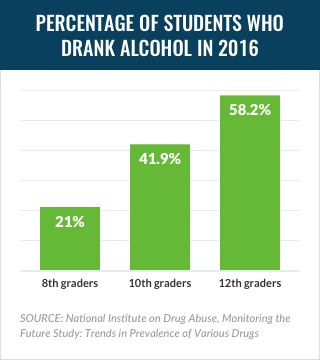 6% of 12th graders report daily use. Increased feelings of well-being and peace. Decreased judgment and decision-making abilities. Problems with learning and memory. Increased risk for developing mental health conditions like anxiety, depression and, in susceptible individuals, psychosis. Individual therapy using CBT, MI, and CM. 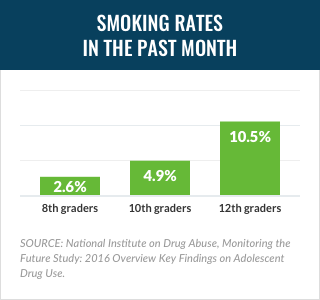 Though the level of cigarette use has been dropping significantly as perceptions of risk increase, nicotine use continues to be a topic of concern for teens and adolescents. A factor is the rising trend of e-cigarette use among younger teens. Nicotine products continue to be popular due to their relatively low cost and easy accessibility. While the many risks of cigarettes are well known, e-cigarettes are presented as safer alternatives, and so may be more readily adopted by teens. Carcinogens and toxins in the vapor. Increased likelihood of switching to cigarettes. Increased risk of addiction to other tobacco substances like cigarettes. Bupropion (Zyban): This antidepressant medication can help mitigate withdrawal symptoms and cravings. Nicotine replacement therapies (NRT): NRT comes in many forms, such as patches, gums, lozenges, sprays, and inhalers, and helps to wean the user off nicotine by providing either instant or slower, controlled release of various doses of nicotine until use can be tapered down and discontinued altogether. Varenicline (Chantix): This oral medication can stimulate nicotine receptors in the brain to reduce the severity of withdrawal and prevent a return to use. Behavioral approaches like cognitive behavioral therapy (CBT)—either alone, or in conjunction with NRT methods—may also help some individuals stop smoking. Though differences exist between them, they act in similar ways in the brain by increasing the levels of dopamine and another neurotransmitter called norepinephrine. 7.5% of 12th graders in 2015 (up from 6.6% in 2014). 5.2% of 10th graders in 2015 (up from 4.6% in 2014). 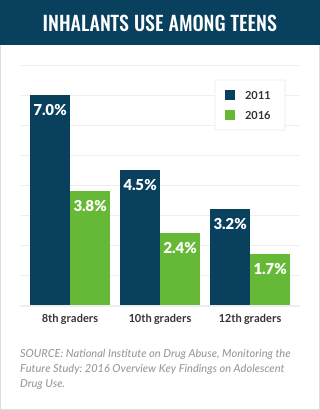 1.0% of 8th graders in 2015 (down from 1.3% in 2014). Their availability (teens often get them for free from friends). Their use as a study aid. Their use as a performance booster in athletics. Increased energy with decreased need for sleep. Elevated blood pressure and body temperature. Extreme depression with thoughts of suicide. Excessive anger with potential for violence. Some teens will benefit from inpatient treatment to manage symptoms while ensuring safety. Others can be treated on an outpatient basis with the application of various therapeutic strategies such as the Matrix Model. OxyContin is a powerful and highly addictive brand name for oxycodone, a prescription opioid substance used for its pain-relieving capabilities. 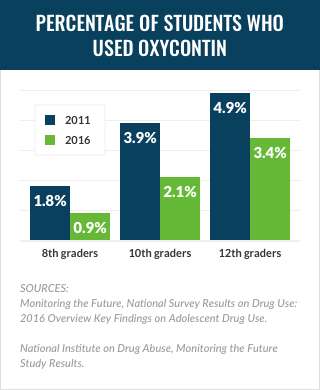 OxyContin is frequently abused by teens, with 3.7% of 12th graders using the substance in the year prior to the MTF survey. 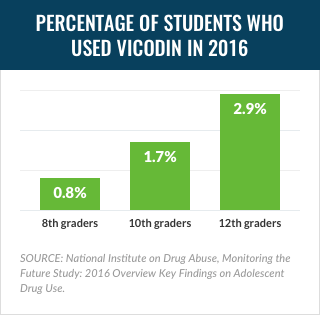 The abuse of prescription pain medications by teens looking for a high is as prevalent as it is today in part because painkiller prescriptions are so common. The chance of finding an opioid drug in the medicine cabinet of any American home is extremely high. Prescription painkillers are also commonly perceived as less risky than illicit drugs like heroin because of their legal status. In truth, these drugs pose quite a number of serious risks. Furthermore, the rate at which prescription opiate abusers eventually turn to heroin is alarming, with past prescription narcotic dependence making you 40x more likely to abuse heroin, according to the Centers for Disease Control (CDC). Confusion and reduced decision-making skills. Slowed pulse and lower blood pressure. Methadone – A long-acting opioid substance that produces similar effects as the pain medications it replaces in a steady and managed way to reduce addictive behaviors. Methadone is dispensed from specially licensed clinics and practitioners. Buprenorphine – A partial opioid agonist medication with an innate ceiling effect – prevents the onset of withdrawal and manages cravings with no pronounced, rewarding high. Buprenorphine is often used in combination with naloxone (as Suboxone) to further deter abuse. This can be prescribed from doctor’s offices. Naltrexone – A substance that blocks the pleasurable effects of opioids. Taking this substance will reduce the recovering user’s desire to abuse pain medications, since they will not elicit their euphoric effects in the presence of naltrexone. 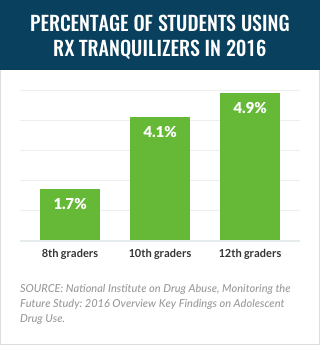 6.9% of 12th graders abused tranquilizers in their lifetime. 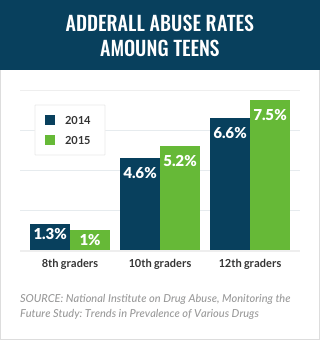 5.8% of 10th graders abused tranquilizers in their lifetime. Part of the appeal of tranquilizers is their quick action in the body and their perceived level of safety. People may abuse their own prescription by taking more than prescribed or taking them more often than prescribed. Abuse of these substances can easily lead to overdose, especially when combined with other depressant substances like alcohol and opioids. According to NIDA, nearly 8,000 overdose deaths involved benzodiazepines in 2014 alone. Understanding triggers of substance use. Treating underlying mental health concerns. Engaging in healthy supports and coping skills. In many cases, the chemicals found in these substances may be similar to the THC found in marijuana. However, because the illicit manufacturers of these potent products may frequently change their chemical profiles to avoid detection and regulation by government agencies, there is significant potential for them to induce unexpected results – many of which are more dramatic and dangerous than those produced by natural cannabis. Ability to confuse or fool parents into thinking it is incense. Reputation as a “safe” drug. Spice/K2 is addictive, and a teen who’s been abusing synthetic marijuana in any form may require treatment to maintain abstinence from it. 6.4% had used hallucinogens in their lifetime. 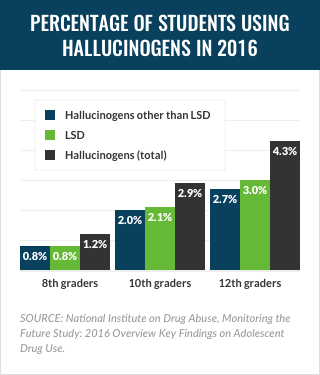 4.2% had used hallucinogens in the last year. 2.9% had used LSD in the last year. Their sought after ability to distort the environment of the user looking for novel recreational experiences. Their lower perceived risk compared to other substances like cocaine or heroin. Extreme paranoia and other symptoms of psychosis. Treatment of hallucinogen use will be most imperative during periods of acute intoxication to maintain the safety of the individual and others in the community. Sprayed from an aerosol container. As the inhalant products themselves are quite a diverse group, each exerts its effects somewhat differently from the next. In general, however, many of the inhalants serve to slow the rate of or disrupt signaling activity in the brain and rest of the body, which can lead to delayed reactions and inability to process information quickly. The results are short-lasting and quite dangerous when repeated frequently. NIDA states that inhalants are one of the first substances that teens will experiment with due to their availability, easy access, and ability to create a desirable “high” that is similar to alcohol intoxication. They may also be appealing because they produce a quick, short-lived high that may seem less dangerous or addictive when compared to the high from other substances. Still, given these facts, the majority of teens still think trying them is a bad idea. Damage to the heart, liver, and brain. If your teen smells like chemicals or has stains, like from paint or glue, on their body or clothing, they may be abusing inhalants. Contact a treatment support advisor today by calling 1-888-287-0471	Who Answers? for rehab options for your teen. 4.6% of high school seniors. 3.3% of high school sophomores. DXM-containing cough medicine is an inexpensive, legal, and easy-to-obtain high, although certain states have begun to regulate its sale to minors. Teens can get it from their home or in pharmacies for a minimal fee. Often, teens will drink the entire bottle of cough syrup and even combine it with alcohol. This combination brings an extreme intoxicating effect and has the potential to cause severe central nervous system (CNS) depression, overdose, and even death. With continued use, addiction to DXM is possible. 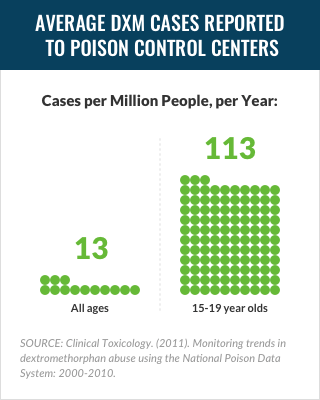 If you are finding many empty bottles of cough medicine in the home, your teen may have a problem. Communication. The level of communication you have with your child will dictate the quality of the relationship. Use communication that is based on a nonjudgmental position of love and support to improve your teen’s level of honesty and comfort. Using active listening skills like nodding and asking follow-up questions will help to demonstrate your interest and understanding. Encouragement. Overly focusing on the negatives and punishment will damage the relationship. Instead, emphasize the positives of your adolescent and find ways to encourage additional wanted behaviors in the future by communicating a sense of belief and pride in their capabilities. Negotiation. Solving problems cannot be a unilateral act. Find ways to create balance through compromise. This way, both parties feel heard and respected. Setting limits. Parents set rules and teens challenge these rules. It is an expected part of development. Choose to set limits that are appropriate for the teen and proportional to their behavior. Consequences should be clearly defined and outlined so that no one is surprised when they are enforced. Supervision. It is impossible to track your child’s whereabouts at all times. Find ways to consistently check in with your teen regarding where they are and who they are with. Learn your child’s schedule to double check their status, and communicate with other parents to learn about their influences. Open and honest communication. The first step should focus on a clear and direct explanation of your wants, concerns, and suggestions regarding your teen and the state of their substance use. Be sure to remain calm and objective as you communicate your concerns. With some teens, this low-intensity measure will be enough to spark the desire for treatment. The negative impact of substance use. The need for active engagement in treatment. The consequences of not accepting treatment. Reinforce positive behaviors without reinforcing negatives ones. Focus on their own self-care. Mention treatment and make it available. Teen and adolescent substance use is a concern for many families. Gaining information regarding substances of abuse, prevention, and treatment options are great steps towards improving the outcomes for your loved one. For more detailed information and strategies, consider contacting a substance abuse or mental health specialist to evaluate your teen and provide treatment to make positive change. If your teen is reluctant, seek out your own treatment as a form of self-care. Watching a loved one battle addiction is a difficult position but seeking out support from family members and friends, as well as through therapy or support groups for loved ones of addicted individuals, can lessen the burden. If you need help in seeking treatment for your teen, give us a call at 1-888-287-0471	Who Answers? . We can help guide you to a program that will provide your teen the best chances of successful recovery. National Institute on Drug Abuse. Principles of Adolescent Substance Use Disorder Treatment: A Research-Based Guide. National Institute on Drug Abuse. Monitoring the Future Study: Trends in Prevalence of Various Drugs. National Institute Drug Abuse for Teens. Alcohol. Substance Abuse and Mental Health Services Administration (SAMHSA). (2006). Detoxification and Substance Abuse Treatment. National Institute on Drug Abuse for Teens. Marijuana. National Institute on Drug Abuse for Teens. Tobacco, Nicotine, & E-Cigarettes. National Institute on Drug Abuse for Teens. Prescription Stimulant Medications (Amphetamines). National Institute on Drug Abuse for Teens. Prescription Pain Medications (Opioids). Substance Abuse and Mental Health Services Administration (SAMHSA). (2015). TIP 45: Detoxification and Substance Abuse Treatment. National Institute on Drug Abuse for Teens. Prescription Depressant Medications. National Institute on Drug Abuse for Teens. Spice. National Institute on Drug Abuse. (2015). Synthetic Cannabinoids. National Institute on Drug Abuse for Teens. DrugFacts: Hallucinogens – LSD, Peyote, Psilocybin, and PCP. National Institute on Drug Abuse for Teens. Inhalants. National Institute on Drug Abuse. (2016). Commonly Abused Drugs Charts. (2016). National Institute on Drug Abuse for Teens. Cough and Cold Medicine (DXM and Codeine Syrup). National Institute on Drug Abuse. (2015). Family Checkup: Positive Parenting Prevents Drug Abuse. Massachusetts Executive Office of Health and Human Services (EOHHS). (2016). Frequently Asked Questions About Civil Commitments. Department of Veterans Affairs, South Central Mental Illness Research, Education, and Clinical Center (MIRECC). (2014). Manual for the Community Reinforcement and Family Training – Support and Prevention (CRAFT-SP). Substance Abuse and Mental Health Services Administration (SAMHSA). (2013). Trends in Adolescent Substance Use and Perception of Risk from Substance Use.